I was born in Fairfax, Virginia, and grew up nearby in Herndon. The Magic Flute, as Sarastro. My favorite soda is Moxie Original Elixir. It’s popular in the New England region, but if you’re anywhere else in the country you’ll be hard-pressed to find a bottle. It’s flavored with gentian root. I’m very interested in 20th century visual art, especially abstract expressionism. The Velveteen Rabbit was one of my favorites growing up. I’d invite Vince Gironda, Stan Efferding, John Hansen, and John Meadows, so I could watch them argue about nutrition and weight training. It’s a familiar story but told in an unfamiliar and unexpected way, with incredible music. 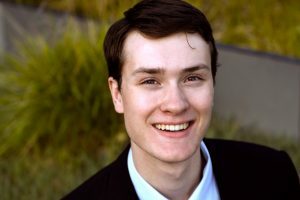 Find out more about William and our other artists, and don’t miss the chance to see him as Vodnik in Rusalka. Performances are April 26 and 28 in Overture Hall. Tickets start at $18!